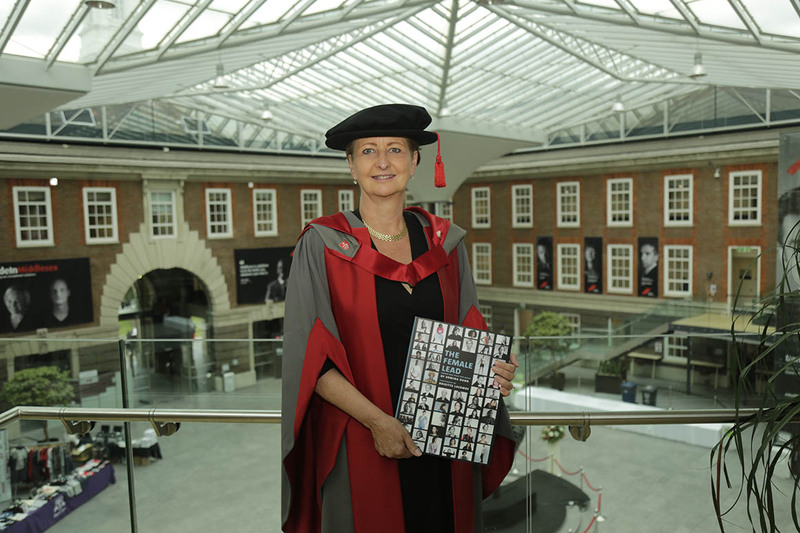 Edwina Dunn, Co-founder of Dunnhumby, the company behind Tesco’s Clubcard, My Kroger Plus and other loyalty programmes around the world has been awarded an honorary degree by Middlesex University. Dunnhumby was founded in 1989 and by 2011 when Edwina left the business it had grown to an organisation of 1,500 people, reaching 350 million customers in 25 countries. Edwina is now CEO at Starcount, a consumer insights company that brings the voice of the customer into the boardroom. Edwina is proud to have been recognised during the University's graduation week. “I am delighted and privileged to receive this honorary doctorate, particularly as the Faculty of Science and Technology at Middlesex integrates the study of people with that of artefacts and sciences, my own life's work and passion. "Receiving this honour from the Faculty of Science & Technology is an important and joyful landmark. I have worked with some of the most brilliant and creative people in data and technology across many different countries. It’s what I've loved most in my career. “The majority of these colleagues studied a science, 50% are female and they've all had a fantastic and rewarding career. I believe that studying maths and science opens the door to many of the best jobs in the global economy, both now and into the future." Edwina is founder of The Female Lead, a non-profit organisation dedicated to offering alternative role models and giving women a platform to share their inspirational stories. She is also Director of Purple Seven, a company that helps the arts and entertainment industry understand, develop and engage their audiences in a more sustainable and powerful way. She was appointed Chair of Your Life, a three-year campaign to ensure the UK has the Maths and Physics skills it needs to succeed in today’s competitive global economy. Professor Tim Blackman, Vice-Chancellor of Middlesex University, acknowledged the importance of Edwina's work. “By awarding an Honorary Degree to outstanding people such as Edwina Dunn the University is recognising achievement at the highest level as well as dedication to public duty and making a difference to others’ lives.